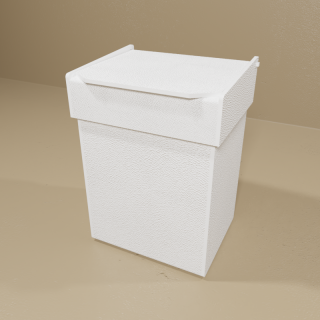 Table top, economical, small waste container is ideal for disposing of small objects or sharp objects and leaking fluids. Each unit has a hinged lid for easy disposal of waste. Lids are removable for removal of contents. All are made of heavy duty, ABS.